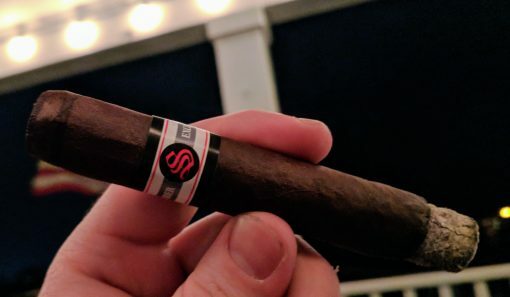 Each year I look forward to receiving the Tatuaje Saints & Sinners member exclusive smoke kit. Details on the blends are limited, but 2017’s “Blend 4” is a robusto with a Broadleaf wrapper. It’s a powerhouse of a cigar with damp earth, dark roast coffee, and pepper. Construction of the full-flavored cigar was flawless, and it’s one of the best cigars I’ve smoked this year.